"We're the bad guys, it's what we do." Whether you saving the world or wrecking it, you are going to need an awesome outfit. As seen from the film Suicide Squad, Harley Quinn's T-shirt can now be yours! 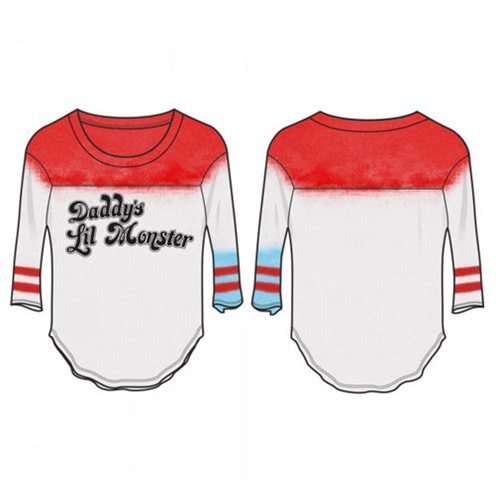 This officially licensed raglan shirt features Harley's signature color and the printed quote "Daddy's lil monster." Add a touch of crazy to your wardrobe with this Suicide Squad Harley Quinn Raglan today! Made from 100% cotton.